Perhaps today you decided to create special interior for your kitchen. But, at the same time, you want a comfortable, functional and practical room. Then special attention should be paid to the working surfaces and countertops. By installing a work surface made of tempered glass, you can create a very stylish and unusual image of the kitchen, after all, you agree, this element will look very attractive here. What is worth the only variety of shapes, colors and patterns that are used in the manufacture of glass surfaces. For small-sized rooms, they will be a real find, since the glass can visually make the interior lighter, more spacious. Yes, and you can order the form that will be the most successful for your kitchen. The working surface of the glass after a long time will not be erased nor deformed, even if it is in constant operation. The ability to withstand the weight provides a good thickness of the countertop, namely, from 5 to 20 mm - this is a few layers of laminated glass, and the upper ones - from hardened. The surface of the glass in the working area in the kitchen - this is an excellent and very practical option, because the temperature difference, boiling, sprinkling of boiling water and fat - here is a permanent phenomenon. 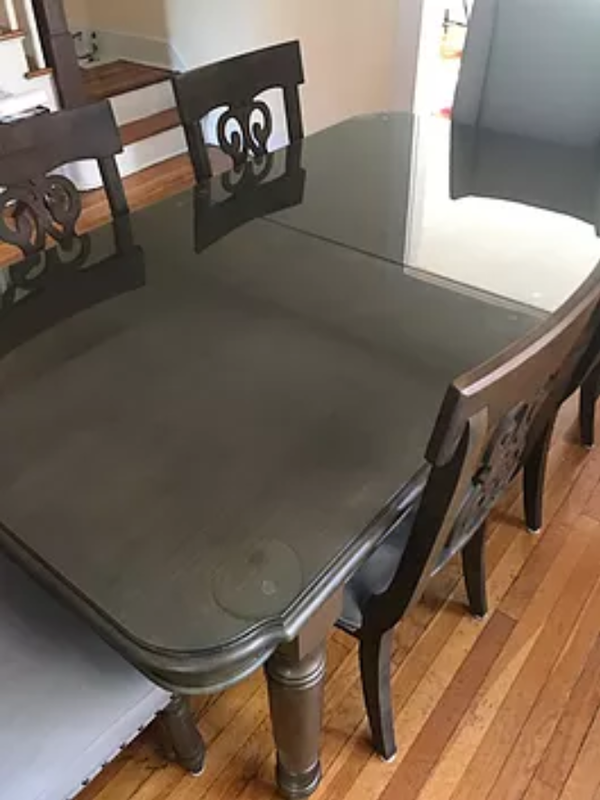 The glass table does not melt away from heat and does not absorb excess moisture, losing its appearance, for example like a tree. This factor will allow you to set the working surface or above all the facades of the kitchen cabinets, or only in the cooking zone. In modern kitchens, it is often possible to meet the combined elements of glass furniture, which are harmoniously combined with elements of wood, stone or plastic. This combination is quite convenient, since the glass perfectly harmonizes with any foreign materials, however, the most often used in combination with the glass surface are chrome parts and elements. Giovani glass is the specialists who are ready for a glass installation of different kinds in your residence or commercial building. We are installing doors, glass fences, railings and security glass with the best specialists, who are dedicated to working for the benefit of you have a good service.